There is a room in our house called 'The Cave'. I think the name was a compromise after my husband attempted to call it the Man Cave. Obviously we can't have that because where would I have my lady-space? OR it might have just been because this room is so dark and tiny and horribly cave-like. 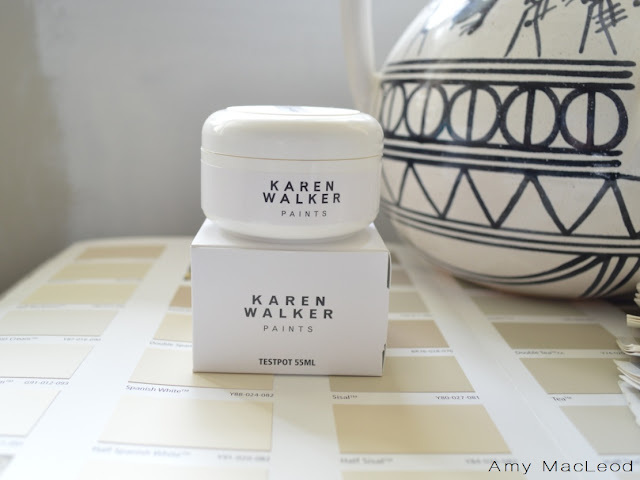 So today I went down to our local Resene paint shop and grabbed some testpots including this fancypants Karen Walker one. The picture below is basically the office as it is now... but not actually, because in reality it's darker, and right now there is STUFF on every surface and there is also an extra set of shelves and a chair jammed in there. It doesn't really show on the photo, but the existing colour is poo-green. Yes, that's the official name. Poo-green with big chips and dents all over it. This room has made me all kinds of upset and frustrated on account of the overwhelming amount of wood (including the extra shelves and chair that aren't even shown above). 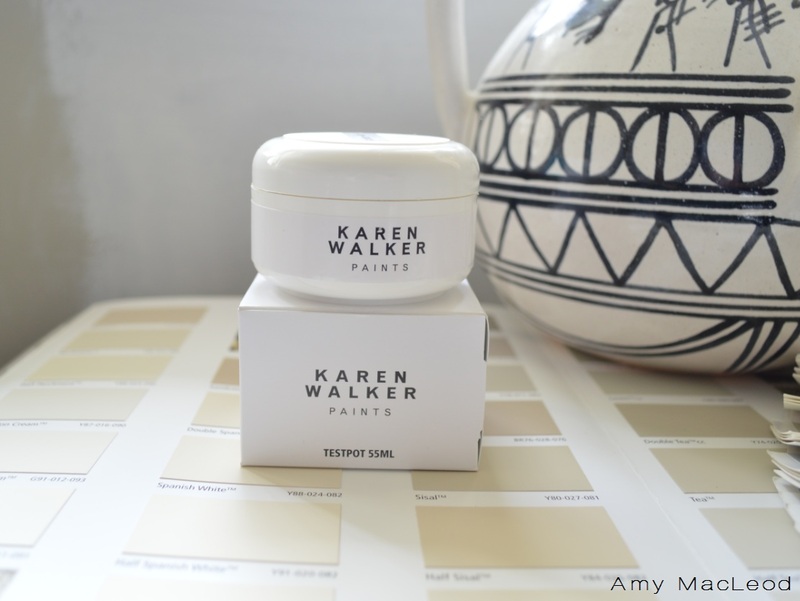 I like wood, a lot, but as you probably know I also really like light, white, fresh and uplifting interiors. 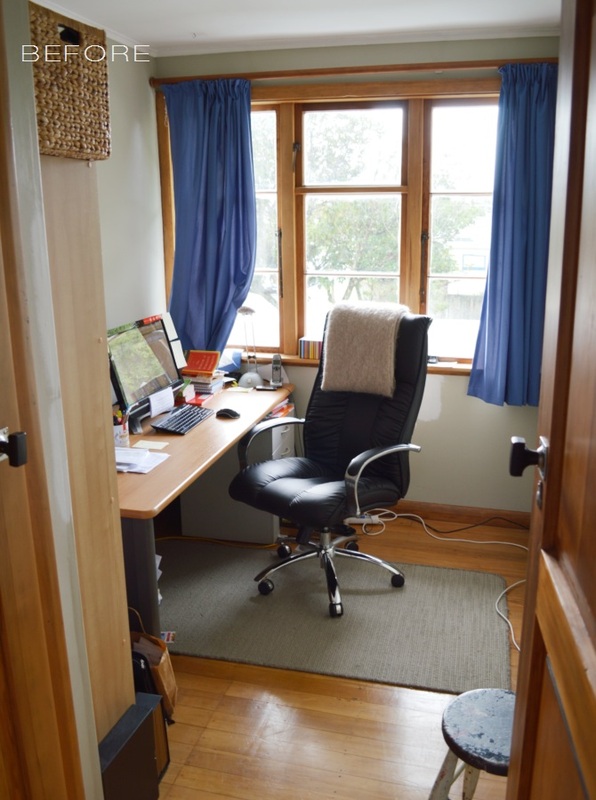 It seemed so hard to modernise this room with all that wood. It has taken me ages but I've finally decided to embrace it and set myself a challenge. I hope to repaint the walls lights and bright, and have a few fun details added in. My favourite is the HOLLA wall sign. I curse the cost of shipping to New Zealand! This badboy sells for about US$50 on Etsy, by Oh Dier but once it's shipped etc I'm looking at close to NZ$100. So it may never happen. I can dream, though. I'm eager to see how much I can transform this room with just paint, new blinds, and a few accessories (some of which I could DIY, like this art from yesterday). Can't wait to see how it turns out! Agreed, no man cave in our house! hahha so appreciate this post!!! I have a room in my own house dubbed by the very same name, and it too bothers me to no end. It's just all masculine in there, with dark colors and too much stuff... unfortunately I think if I tried to convert one more space to white-ness, I might be thrown out.